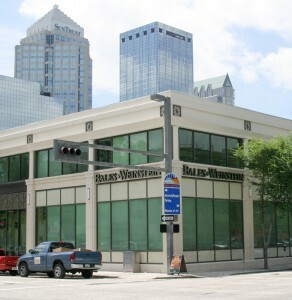 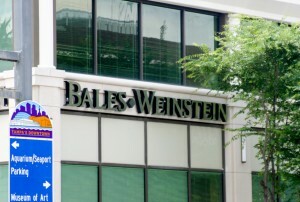 Stunning stainless steel lettering on three faces of the Bales Weinstein office building in downtown Tampa. Several floors up and through reinforced concrete. 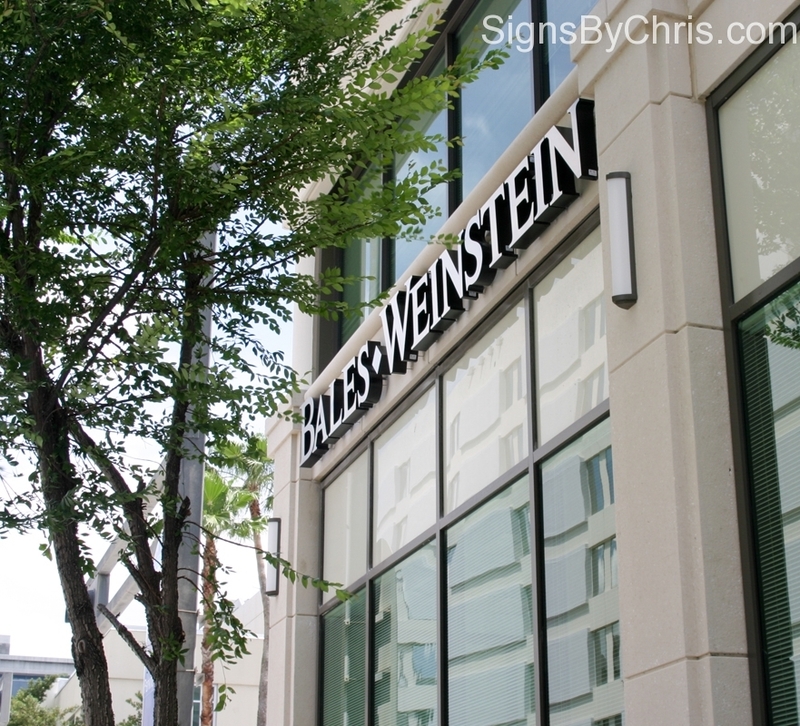 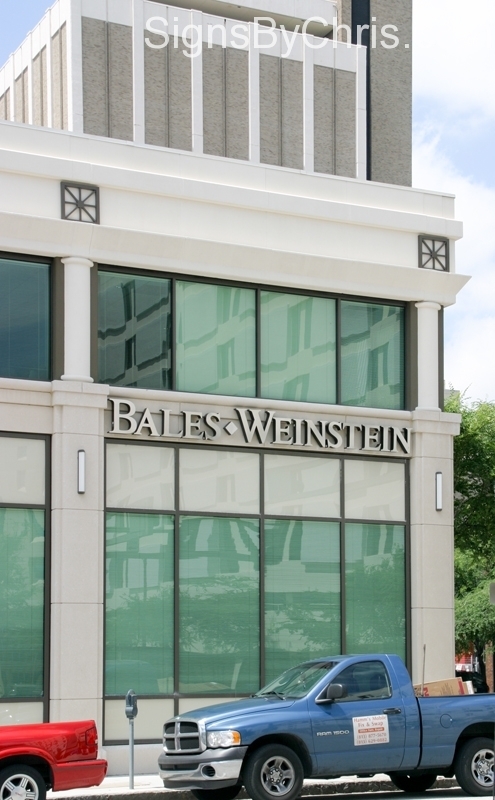 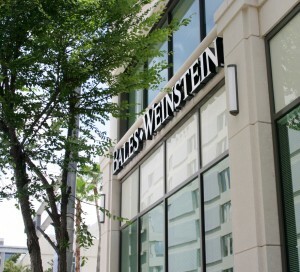 Be sure to check out the Bales Weinstein Lobby Signs.